Plant-based superfoods have been around for some time, so what makes Tropeaka stand out from the rest? 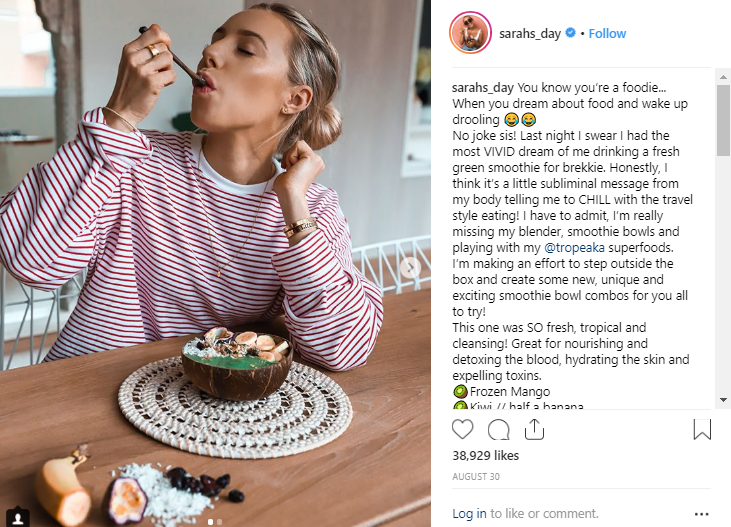 This powerhouse brand is using Instagram to its full potential, and as a result, it’s on all the fitfluential insta-influencers lips. Here’s why. 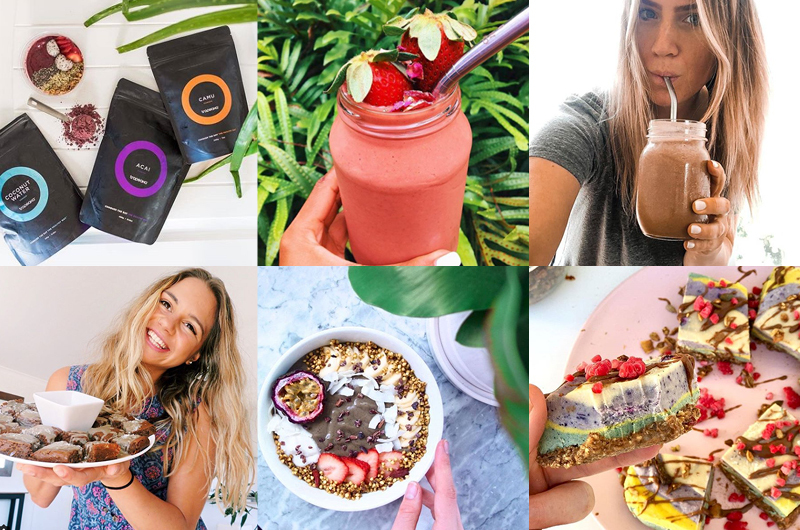 An impressive monthly ad spend, influencer partnerships with the likes of Sarah’s Day, attendance at some of Australia’s biggest health, fitness and wellness expos including Melbourne Fitness Expo in October, are just some of the key components of Tropeaka‘s impressive marketing mix. 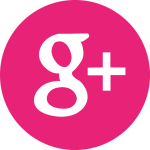 Tropeaka‘s online presence is very impressive with a global customer base and devoted following. But the decision to partner with Unique Health Products for national distribution was the obvious next step. “We were always impressed with our interactions with Unique and it made sense that we could trust our brand in the hands of not only a very friendly bunch of people but someone that understood the changing nature of how consumers shop. 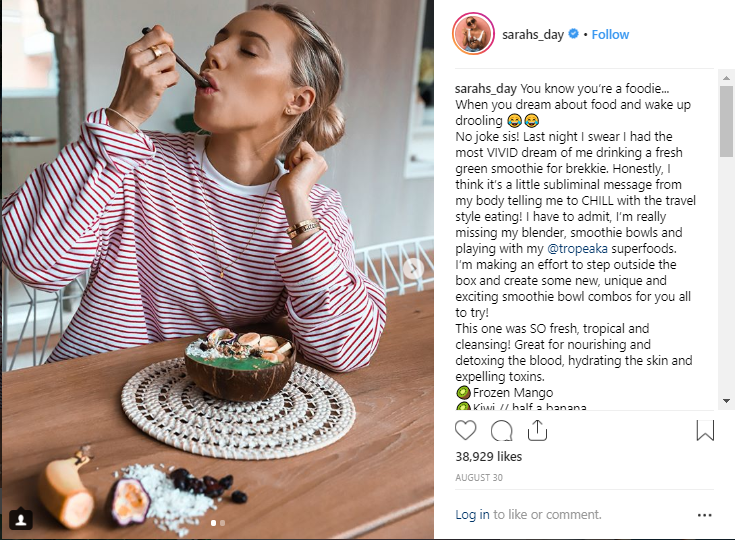 As for why Tropeaka chose to focus on social media, Caleb says “Instagram, and in a wider sense, social media is how young consumers now shop. It’s the modern day “word of mouth” at scale, and allows us to authentically portray our brand in a way that creates a community at mass. 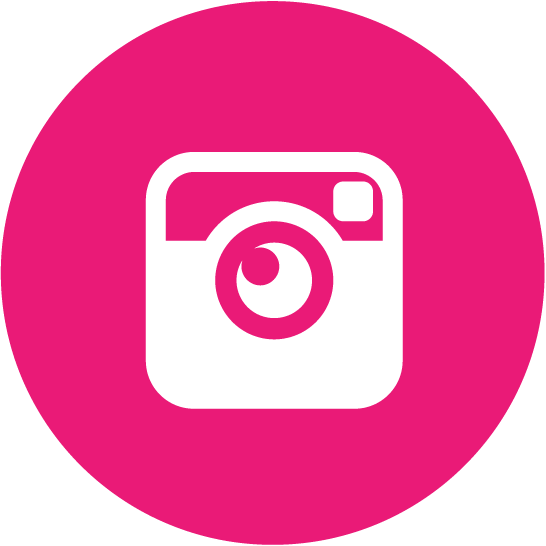 So how did Tropeaka become a business success on Instagram? Their popularity on social media didn’t come without a strategic plan. According to Caleb, Tropeaka’s greatest achievement is that “we’ve been able to make health foods cool and fashionable in the eyes of the young fitness and health-conscious consumers aged 16-35 years old. Having a point of difference is one of the most important things to highlight on social media. What makes your brand and your product/service unique? Stay consistent with this to build a loyal, engaged community. 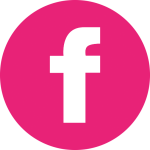 New followers should be able to identify what your company is all about within the first minute of glancing at your social media profile. It’s also imperative to consider who your target audience is, what language they speak, understand their problems and make sure that you offer value with solutions including your products or service, freebies, advice, support, and tips and tricks for reaching their goals. Tropeaka is a perfect example of this. “Our branding and marketing of our products along with the high-quality and choice of products we have created allows us to relate to the young consumer better than anyone else in the product verticals that we are in. As a stockist, it makes a drastic difference to your sales when brands are actively marketing their products, engaging with their relevant target market and have a strong presence on social media. Tropeaka does a brilliant job of this and we know they’ll be a hit with your customers, especially this Spring/Summer season! 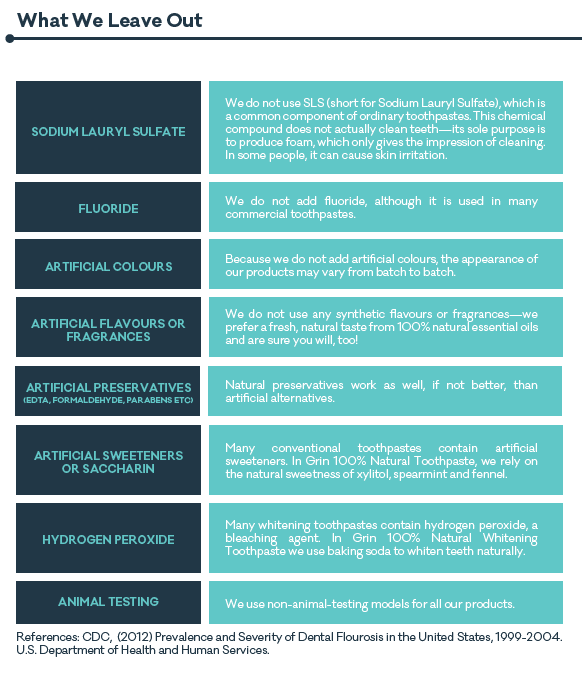 Order your stock of their extensive range today via the Unique Health Products online store. Not yet registered? Sign up with us here. Then share a range of delicious recipes from their site (like the one featured below) to promote the products on your own social media! 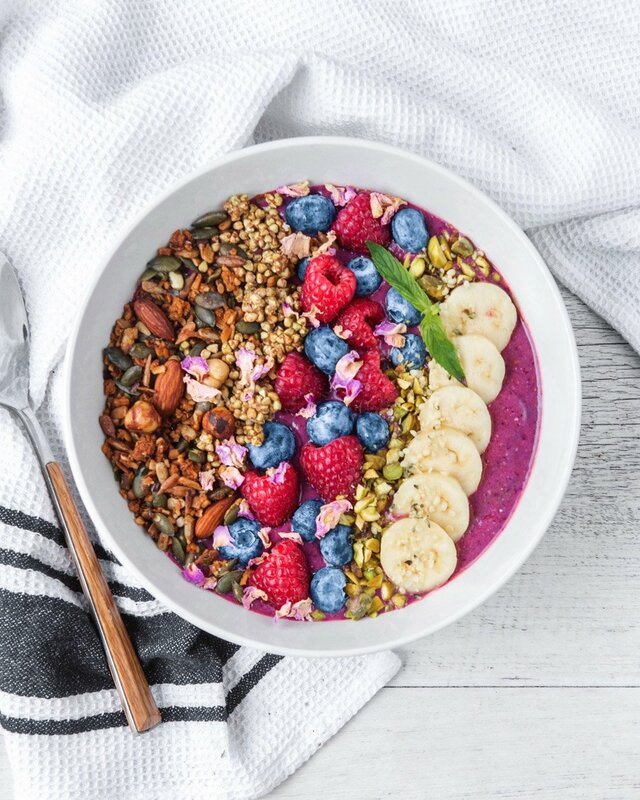 Packed full of protein, antioxidants and summer fun, this smoothie bowl is a delicious hit! Transfer into a bowl and add toppings of your choice. Enjoy! 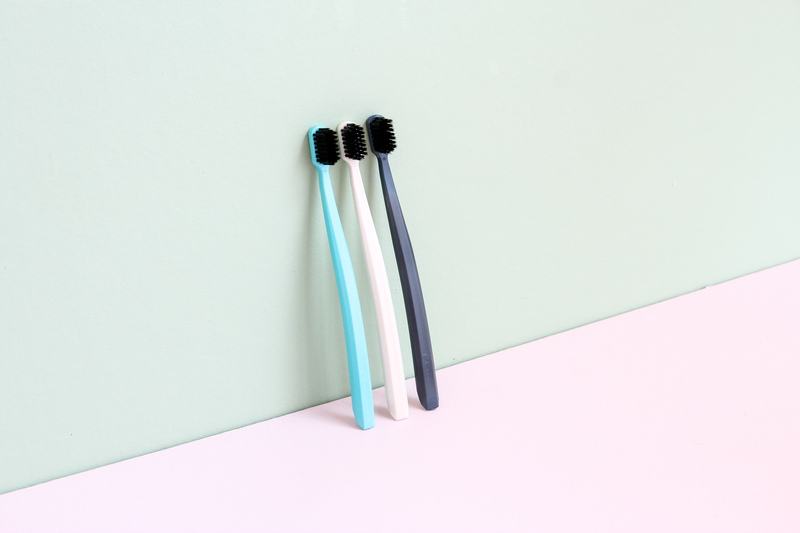 From the medicine cabinet and kitchen pantry to office desk essentials and recipe inspiration, there’s an array of healthier alternatives for customers wishing to make the switch to a more eco-friendly, natural way of living. Expand your customers’ options with these great finds. Medihoney Adhesive Dressings are a waterproof, latex-free hydrogel dressing infused with antibacterial, medical-grade manuka honey. These dressings help to speed up the healing process by maintaining a moist environment for optimal healing of minor wounds, burns, cuts, grazes and blisters. A must-have for the first aid kit and perfect for the whole family! Available in two sizes – small and large! UV Natural have introduced Chill Skin Cooler, formulated to moisturise and soften the skin after sun exposure. The light, pure lotion is fragrance-free, cruelty-free and vegan-friendly, boasting naturally derived ingredients that soothe and nourish the skin. Pure Amazing Oils Magnesium Chloride Bath Flakes are organically sourced from the pristine salt lakes of Australia. Now available in 2kg and 5kg sizes, customers will love the buckets of value! Both the winning combination of Ancient Minerals Magnesium Oil 50% with MSM Ultra, and the Full Strength Magnesium Oil, are now available in smaller, 118ml sizes. 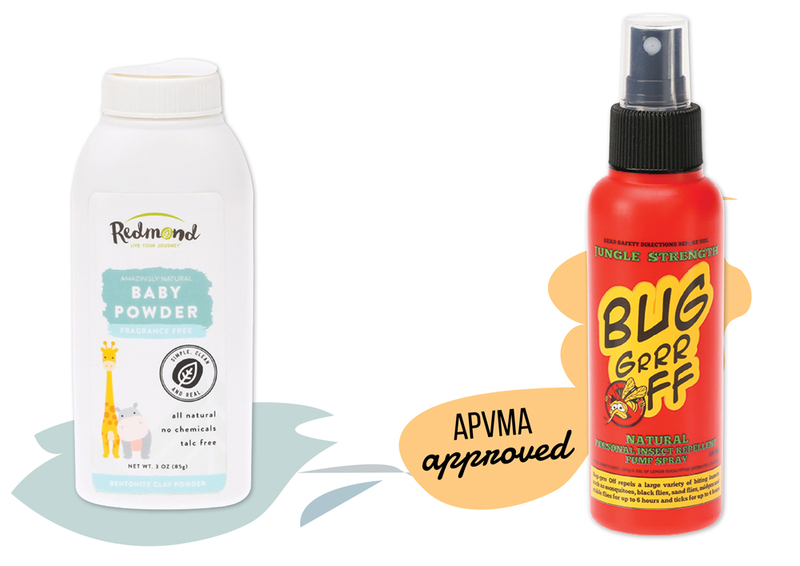 Perfect for the gym bag or desk drawer, these oil sprays are ideal for customers on-the-go! Freshen up your klean kanteen display with a rainbow of vibrant new colours! The new colours include a mix of the original BPA-free stainless steel bottles as well as insulated bottles, travel mugs, tumblers and an insulated food canister – perfect for keeping warm during the cooler months! The popular Cheeki range now includes replacement lids for their coffee cups and mugs, two new bottle colours – Teal and Ocean, and larger sizes of their Lavender stainless steel bottle and Pistachio White insulated bottle. JOCO Cups are flying out the door! Add a couple of classic neutral tones to your display for a chic addition that will never go out of style. Available in Folkstone Grey and Sandstone. Four new cookbooks that can power up your sales with on-trend topics, healthy recipes, and hormone saviours! Power Vegan Meals by Maya Sozer offers exciting new flavours and delicious ideas for the competent plant-based eater. Pete Evans is back with his latest, Lunch Box, where paleo, grain-free lunch options are plenty! 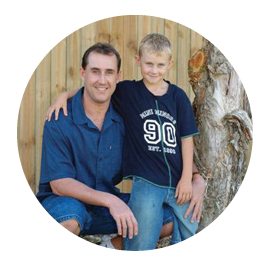 Lee Holmes brings us a total gut healing bible with Supercharge Your Gut. Plus, Kirkpatrick and Johnstone shed light on managing hormones with their educational cookbook, Healthy Hormones. Order these great items and thousands more via our online store! Not yet registered with a wholesale account? Sign up here! GET SALES MOVIN’ N’ SHAKIN’ AND SUPPORT YOUR SPORTY CUSTOMERS WITH THESE AUTUMN MUST-HAVE HEALTH PRODUCTS – FROM PRE-WORKOUT FUEL, HEALTHY HYDRATION TO PROTEIN-PACKED SNACKS. Whether your customers are everyday gym-goers, weekend warriors or simply looking for hunger-busting snacks, there’s a delicious workout wonder to suit everyone’s needs! 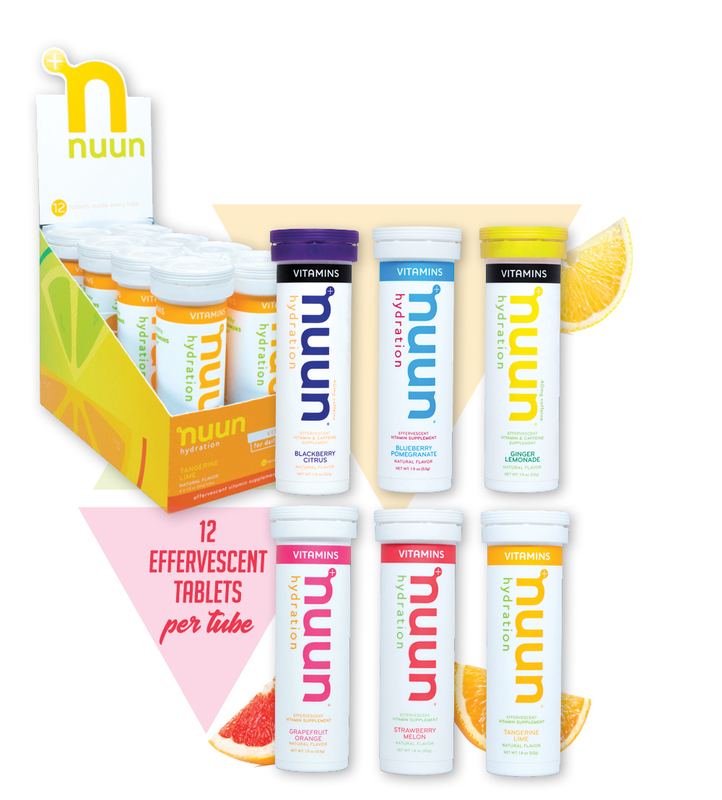 Hydration on-the-go just got amped up – introducing new Nuun Vitamins! Portable and convenient – your customers receive an optimal balance of electrolytes and a nutrient boost with 11 added vitamins and minerals. Low in sugar, plant-based, gluten and dairy free, the Nuun Vitamins range is safe for clean sports and perfect for daily hydration. Available in six fresh flavours – with an added caffeine energy hit in Blackberry Citrus and Ginger Lemonade! 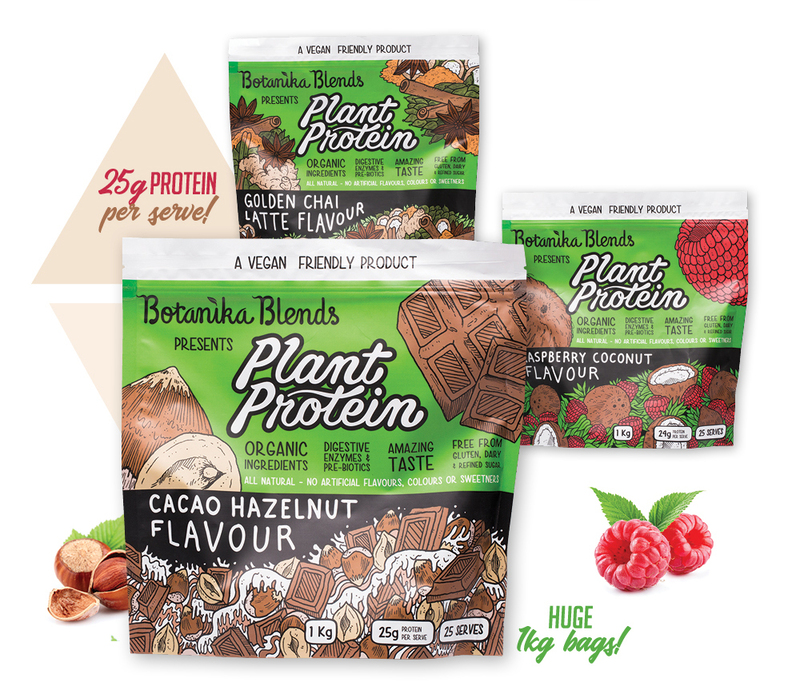 Crafted by nature and powered by plants, Botanika Blends offers an amazing plant-based alternative to the usual protein blends. An innovative mix of organic pea and rice protein, natural marine minerals, digestive enzymes and branched chain amino acids – these low carb blends are all natural with nothing nasty! They come in three delicious, silky-smooth flavours – Cacao Hazelnut, Golden Chai Latte, and Raspberry Coconut. 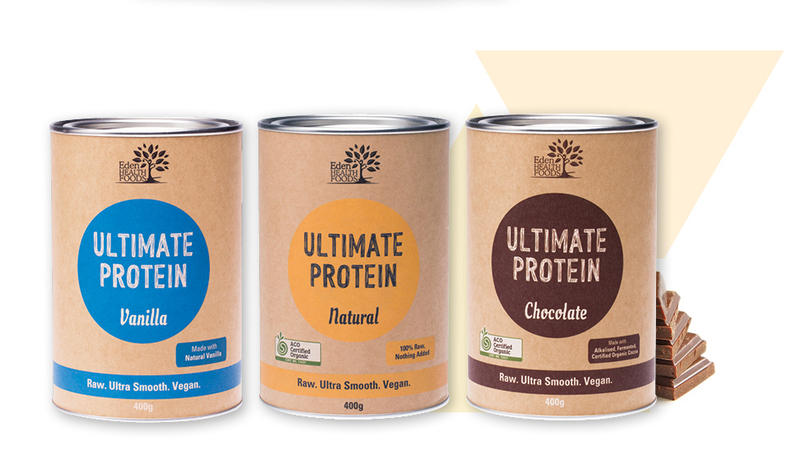 Eden Healthfoods certified organic ultra-smooth, raw protein range now comes in two sizes! The original 1kg and a new smaller 400g size. Perfect for occasional protein users and those who are looking to try the range without committing to the larger size. 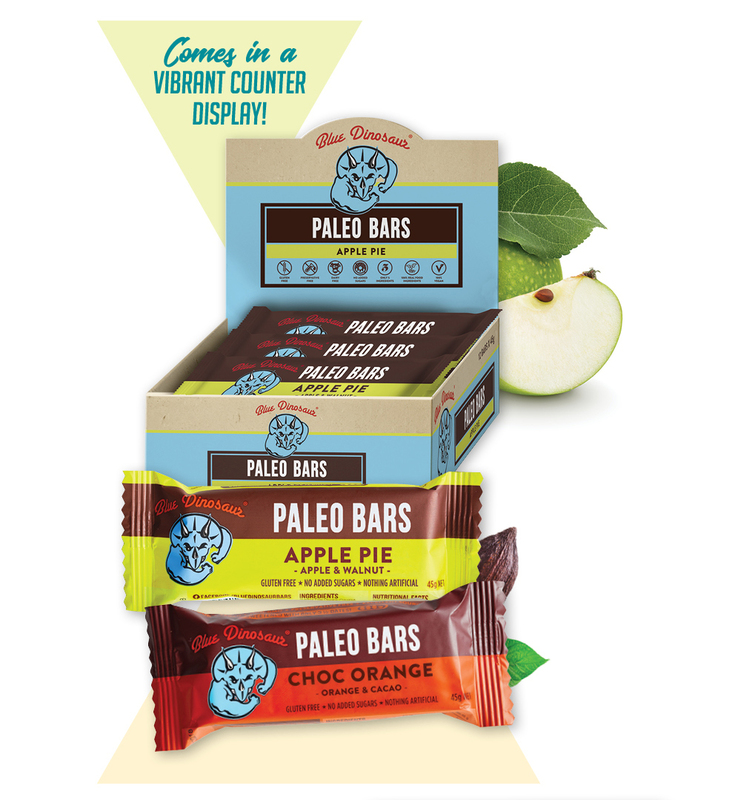 Expand your range of the #1 selling paleo snack bar in Australia with two mouth-watering new flavours – Apple Pie and Choc Orange! Made with only five ingredients, the bars are 100% natural, gluten free, vegan and contain no added sugar – they’re sure to delight your health-conscious customers! 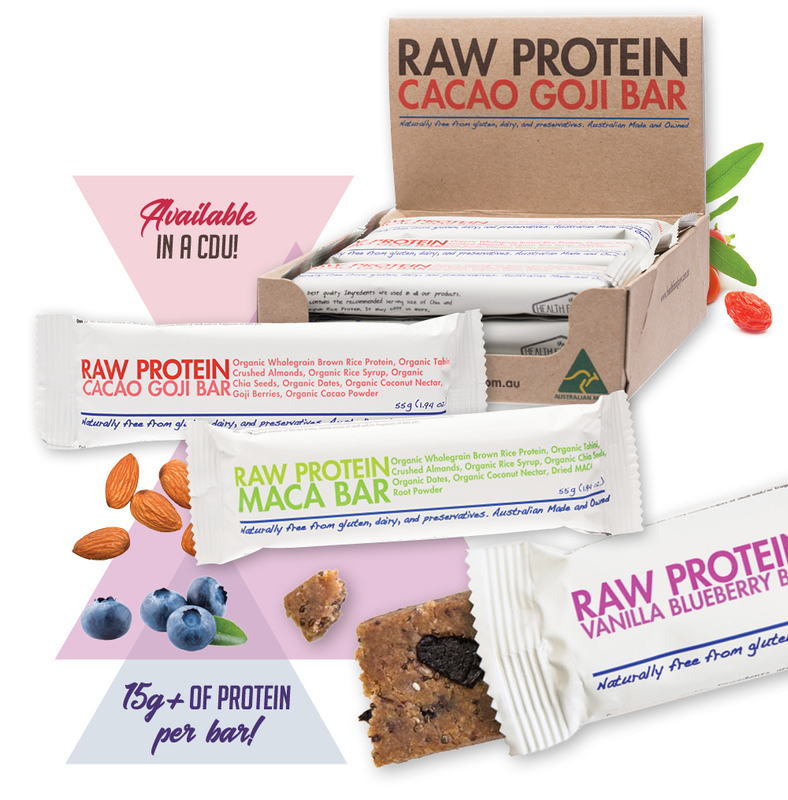 The Health Food Guys have created raw, protein bars with the purest of plant-based, organic ingredients. Preservative free and nutrient-dense – they’re a convenient, nutritious source of protein for customers on the go. Flavours include Cacao Goji, Maca, and Vanilla Blueberry. These are not your average snack ball. 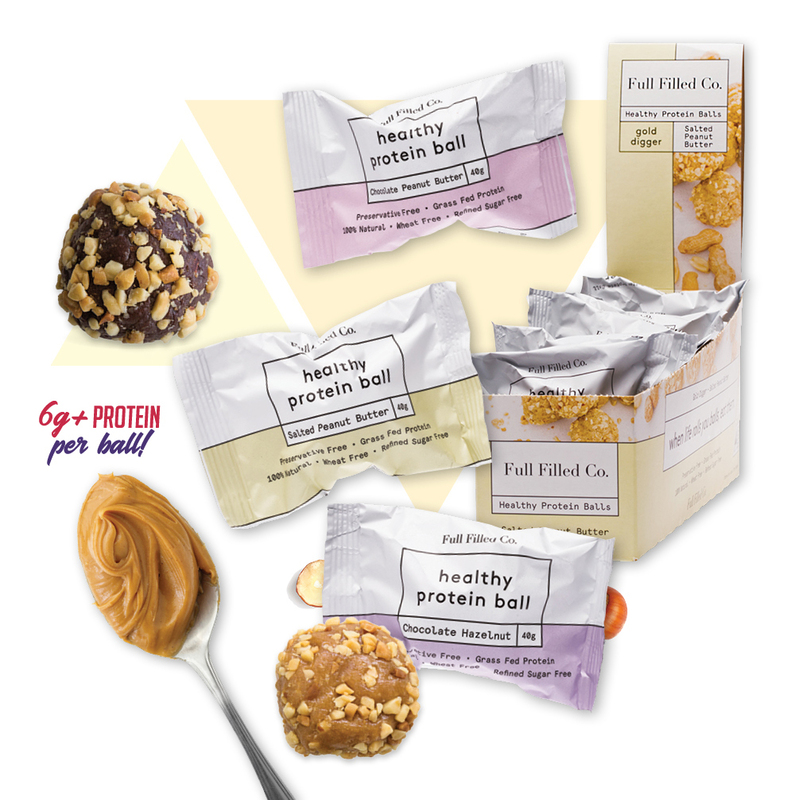 New Full Filled Co Protein Balls are sweetened with maple and rice malt syrup instead of dates and are packed with grass fed whey protein. With Salted Peanut Butter, Chocolate Hazelnut and Choc Peanut Butter as flavour options – they’ll be flying off the shelf! Order your Autumn must-have health products online via our online shop today! Not yet registered with us? You can do so here. SWEET OR SALTY SNACKS? AUSTRALIAN CONSUMER PREFERENCES REVEALED! KNOWING WHAT DRIVES A CONSUMER TO PICK UP ONE SNACK OVER ANOTHER IS VITAL TO STAYING COMPETITIVE IN THE $374 BILLION WORLDWIDE SNACKING INDUSTRY. More and more Australian’s are skipping lunch for a snack and snacking more often. But what do they really want to snack on? and 62% of Australian consumers opt for chocolate as a sweet snack, ranking second between fresh fruit and a mid-meal sandwich as their go-to snack idea. Despite their love of chocolate (and fresh fruit), Australian consumers’ tend to prefer savoury snacks over sweet. In an average seven day period, 41% of Australians snack on potato chips, 37% snack on nuts, and 32% snack on savoury biscuits or crackers. Need to revamp your snack shelves with some fresh new options? These newcomers are ‘better-for-you’, packed with flavour and tick all the right boxes for healthier grab n’ go snacking ideas! 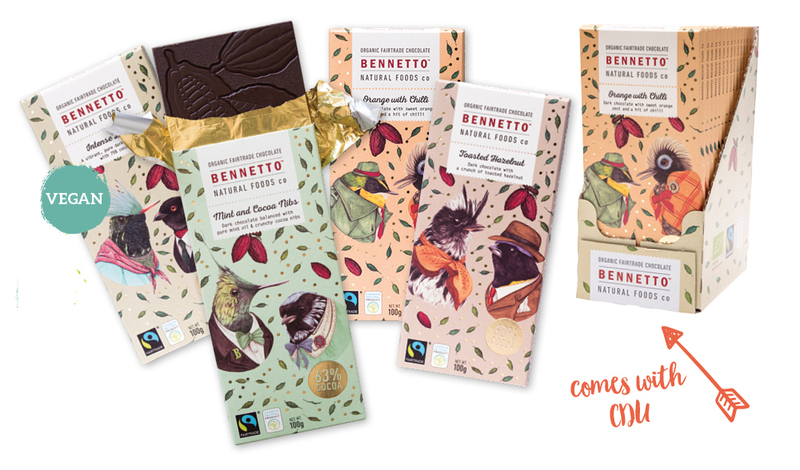 Bennetto is an organic, fair-trade, carbon neutral, vegan chocolate range with a high cocoa ratio (60-75%) and no additives. With appealing packaging and competitive price (100g just $5.99 RRP), we challenge you to try and keep this beautifully creamy chocolate on your shelf! Flavours include Intense Dark, Mint and Cocoa Nibs, Orange with Chilli and Toasted Hazelnut. Chow Cacao handmake raw, vegan, organic, gluten-free, fair-trade chocolate that’s high in magnesium and antioxidants. Made in Byron Bay, it’s stone ground, has a long shelf life and comes with a display box perfect for your shelf or counter. Available in Creamy Coconut Milk, Dark Crunchy Mint, Dark Orange Almond, Peanut Butter Slab, Smooth Pure Dark and Sour Cherry Coconut. Made in a nut, soy, gluten and dairy-free facility with no added sugar, Little Zebra Food Co. Carob Buds are an indulgent low-GI treat even for those with intolerances, allergies or on special diets. They are Australian made with organic carob, so they have the ‘chocolate’ taste but without the caffeine or stimulants. The products are also free from theobromine, MSG and palm oil. Little Zebra Food Co. are the first and only carob manufacturer to use organic avocado oil in place of palm oil. Available in Coconut, Dark, Mint and Orange. Little Zebra Food Co. have also launched Dark Chocolate Crunch Buds, made from vegan chocolate with no added sugar and crunchy carob nibs. The buds are available in Coconut, Dark, Mint, and Orange and are free from nuts, soy, dairy, MSG, palm oil and gluten, and come in convenient resealable stand-up pouches! According to Roy Morgan research, in an average seven-day period, 41% of Australians snack on potato chips. 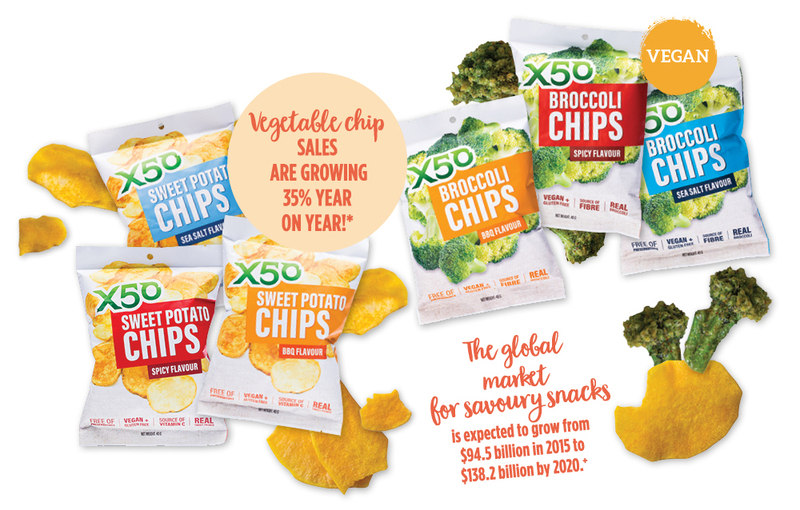 X50 Broccoli Chips and the new Sweet Potato Chips in Barbeque, Sea Salt or Spicy, are now available at Unique. Made from real vegetables, they’re the perfect tasty, guilt-free, low-calorie snack. They’re vacuum fried for crispness and nutrient retention, and in high-demand with health-conscious consumers. The X50 investment in consumer marketing means speedy sales from these salty snacks. Complete your GimMe Roasted Seaweed Snack range with the new classic flavour – Olive Oil. 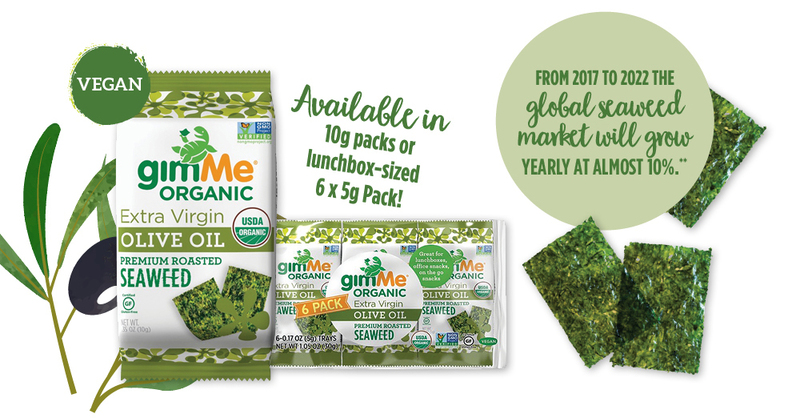 They’re certified organic, GMO-free and made with only three natural ingredients – seaweed, olive oil and sea salt – perfect for health-conscious customers on-the-go. Available in 10g packs or lunchbox-sized 6 x 5g packs! Explore these snacks and much more in our online store. If you don’t have an account with us, sign up here! THE GLOBAL NATURAL AND ORGANIC BEAUTY MARKET IS EXPECTED TO REACH AUD$28 BILLION BY 2024, WITH SKINCARE EXPECTED TO BE THE MOST ATTRACTIVE SEGMENT. FROM CHARCOAL TO TURMERIC AND EVEN GOLD, STOCK YOUR SHELVES WITH THE LATEST MUST-HAVES AND BOOST SKINCARE SALES! New Active Gold Perfecting Eye Masks from 24k Goddess are conquering the beauty-to-go trend, creating a cult-like following with luxe branding and global-wide marketing. Made with 100% natural, quality ingredients like gold nanoparticles, these single-use masks are vegan friendly and available in an eye-catching display. Pop them on your counter or in your beauty aisle for glowing sales! 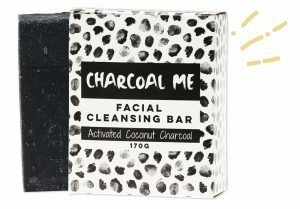 Made with only five natural ingredients, Charcoal Me Facial Cleansing Bar deeply cleans, gently exfoliates and removes make up in one go. 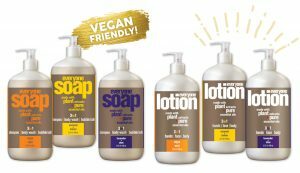 Customers will love that the bar is vegan friendly and has plastic-free packaging. They can now get the benefits of on-trend activated coconut charcoal daily, without the mess! 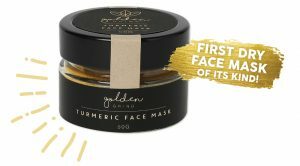 Golden Grind has tapped into the skincare category with their new Dry Turmeric Face Mask. 100% natural and vegan, the mask combines antioxidant-filled turmeric, exfoliating sandalwood, detoxing fullers earth clay, anti-bacterial organic orange and hyaluronic acid. It’s effective for all skin types! Neek have added two lipstick shades, Kiss Me Kiss Me and Mystify. Both are packaged in eco-friendly materials and made with no synthetic ingredients on a base of jojoba oil, avocado oil and shea butter! The beautiful display stand has also been updated and now features eight lip-luscious shades. 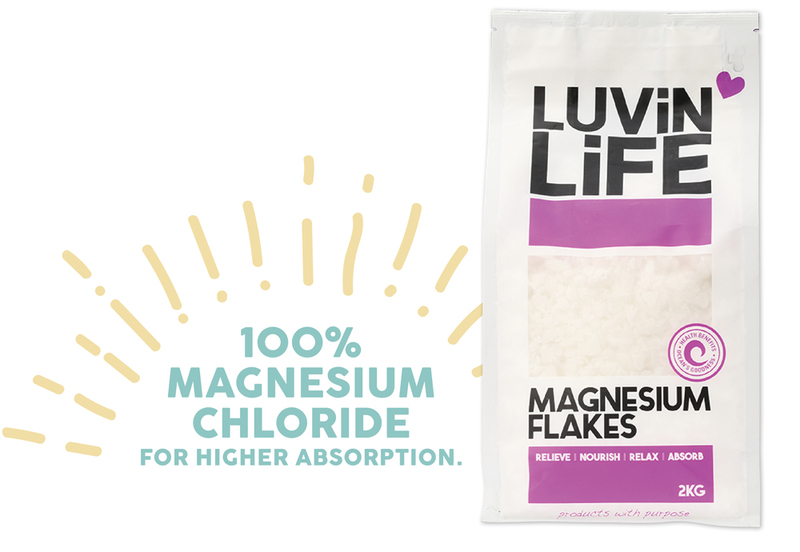 LUVIN LIFE Magnesium Flakes are now available in a 2kg size – enough for 10 baths! 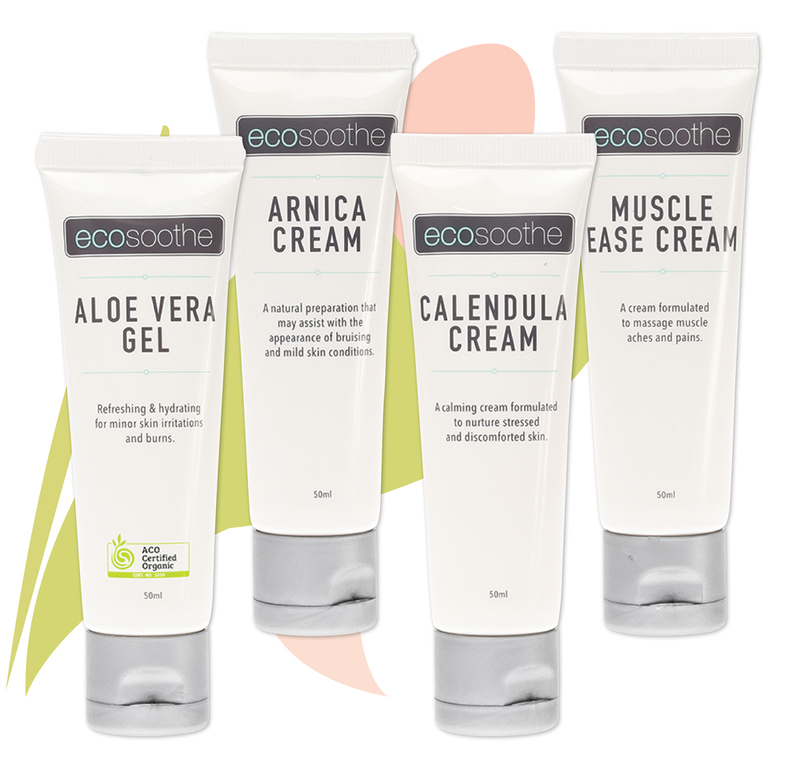 Stock up and help relax your customers’ tired muscles and soften their skin. 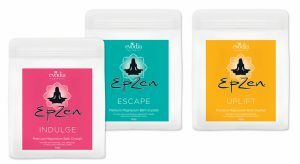 EVODIA Epzen Magnesium Bath Crystals combine the benefits of aromatherapy, mineral soaks and magnesium in a range of delightful bath blends. 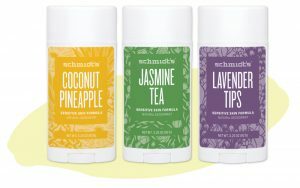 At just $10.95 RRP, the new varieties include Escape, Indulge or Uplift. Everyone offers natural body care made for every day, every budget and every body. 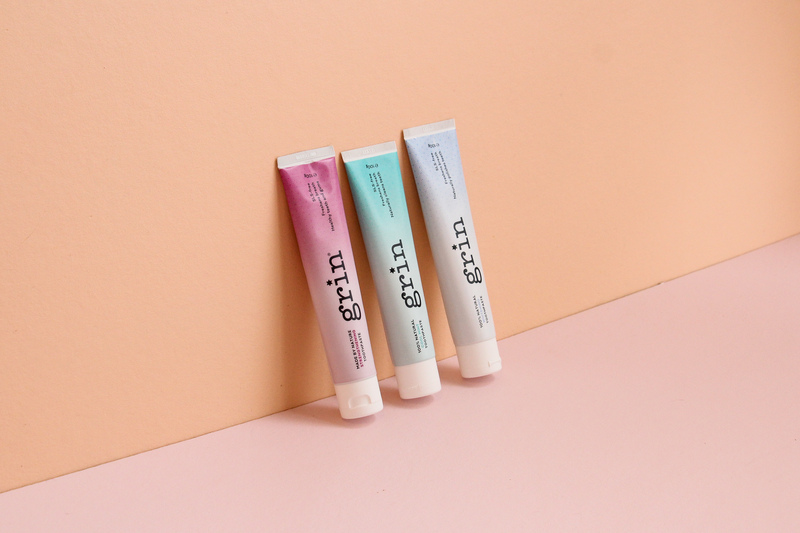 Each 3-in-1 product is free from GMOs, synthetic fragrance, cruelty, gluten and made with plant extracts and pure essential oils. 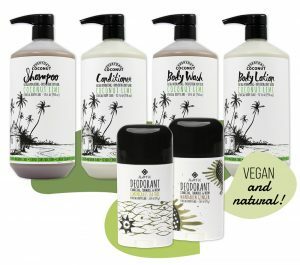 Packaged in recyclable bottles, they’ll be as gentle on your customers as they are on the planet. 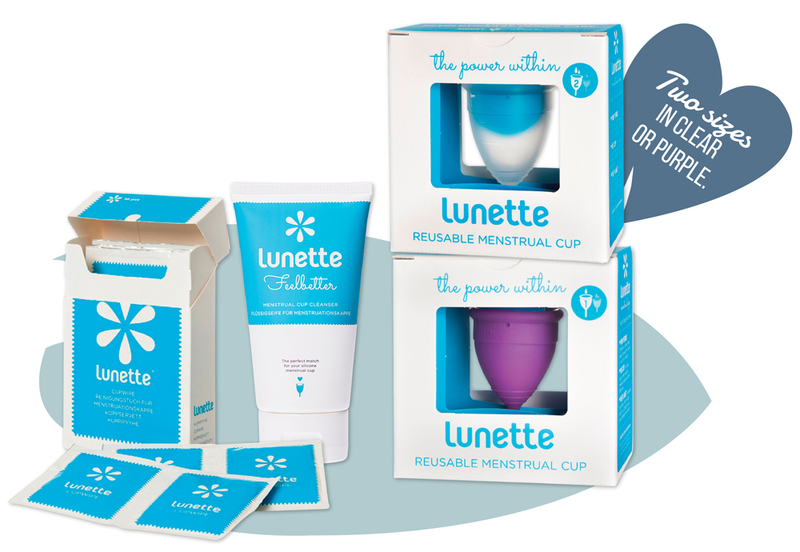 The 3-in-1 products are a huge favourite from the US, with SPINS recording 29.2% unit growth from July 2016- July 2017. Now available in Australia, expect sales to be strong. 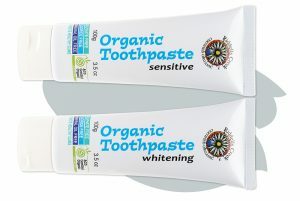 Dr Organic have launched ten new products, made with popular, effective and on-trend organic ingredients. 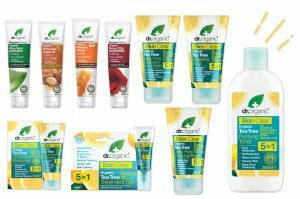 The Dr Organic Skin Clear range is a targeted treatment for oily and problem skin and is enriched with natural fruit acids, salicylic acid, organic tea tree and organic grapefruit. The Creamy Face Washes are enriched with oils and extracts. Customers can choose which best suits their skin type: Aloe Vera, Moroccan Argan Oil, Rose Otto or Organic Manuka Honey. 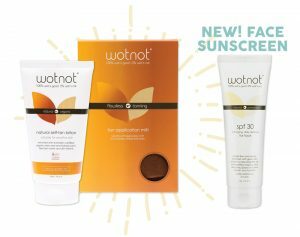 Wotnot’s Natural Self-Tan Lotion in Medium Golden, features a blend of organic ingredients including Australian certified organic kakadu plum, camellia oil and aloe vera. It nourishes your customer’s skin, while developing a natural, streak-free and toxin-free tan. For best results, ensure your customers apply the lotion with the new silky Tan Application Mitt. Plus the new Face Sunscreen protects, brightens, primes and moisturises – all in one. Read more about it here. 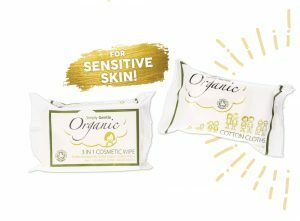 Simply Gentle Organic have used the purest of materials to create the new 3-in-1 Cosmetic Wipes. 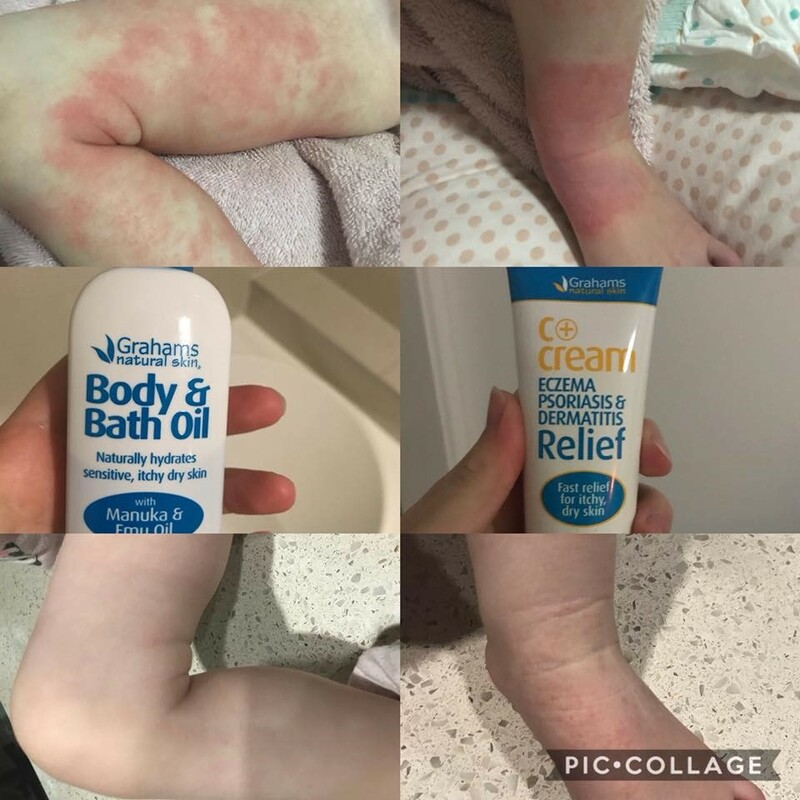 They are dermatologically tested to allow customers to safely and effectively cleanse, tone and moisturise with one easy wipe. They’ve also added Cotton Cloths to the range. Made with 100% organic and biodegradable cotton, they can be used wet or dry and are perfect for sensitive skin. HEALTH CONSCIOUS CONSUMERS CHOOSE FUNCTIONAL FOODS THAT GO BEYOND BASIC NUTRITION OFFERINGS TO PROMOTE OPTIMUM HEALTH. Whether it’s wholefoods, fortified foods, enriched or enhanced foods, ensure your customers have the latest and greatest with these new and exciting functional foods! Supercharged Food Golden Gut Blend is a tasty combination of top-selling Love Your Gut Powder diatomaceous earth, organic de-bittered turmeric, certified organic cinnamon, ginger and black pepper. 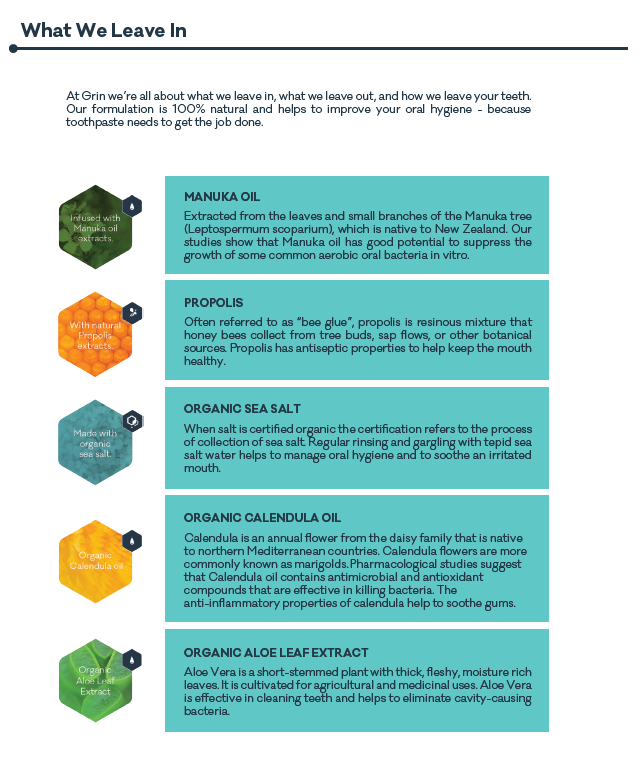 Rich in iron and other minerals, customers will love it’s amazing gut health benefits! Convenient Turmeric Capsules have been added to the Golden Grind range, complete with Black Pepper for maximum benefits. With turmeric still on-trend this will be a golden seller! Amazonia Raw have added two superfood liquid blends to their popular, quality, vegan range. Green Compress is a comprehensive blend of alkaline chlorophyll, trace minerals, organic red algae and aloe vera and designed to help cleanse, restore, balance and assist digestion. Acai Skin Active uses 8 probiotic strains from fermented acai to deliver 12 billion probiotics per serve to help support skin health. Introducing Eden Health Foods medicinal-grade Activated Charcoal Powder, made from coconut shell fibre. The ultra-fine powder has been steam activated, increasing its absorption capacity by 3-5 times! 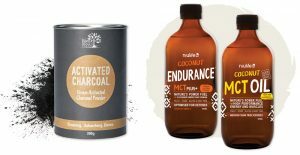 Fair-trade, Niulife, have added 100% coconut derived MCT High Performance and MCT Plus+ Endurance. The MCT range offers a fast and powerful source of energy, cognitive performance and stamina thanks to its ability to rapidly metabolise into ketones. MCT High Performance is specifically formulated for energy and muscles, while MCT Plus+ Endurance is fortified with Omega 3s which can provide a more sustained energy release over 6 hours! Both formulas are also vegan, paleo, gluten and dairy free. 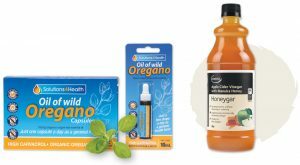 Solutions 4 Health, the only Australian brand with TGA approved Oil of Wild Oregano, now comes in two new convenient travel sizes – a 10mL bottle and 12 capsules. 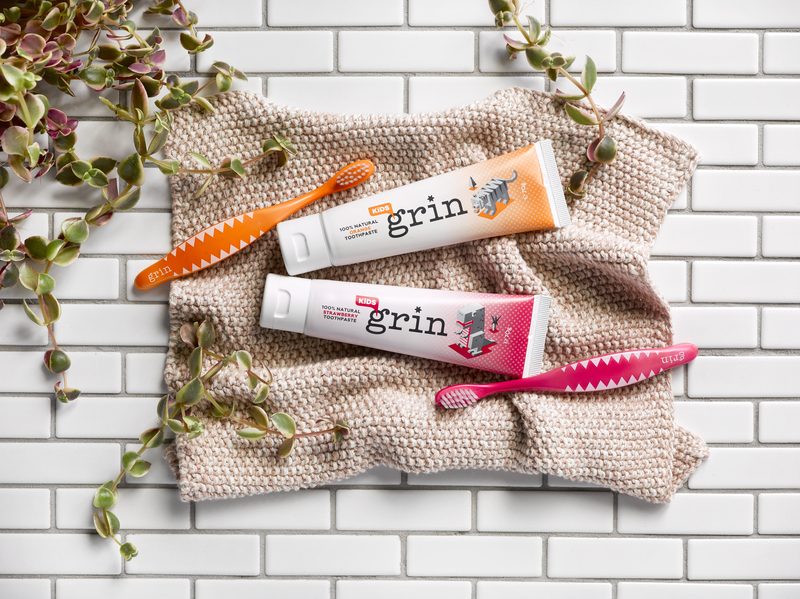 Used for its anti-bacterial properties, customers will love that it’s now even easier to take anywhere! Comvita Honeygar Apple Cider Vinegar with Manuka Honey combines the nutritional benefits of sun ripened apples and UMF® 5+ Manuka Honey, with added New Zealand forest honey for extra sweetness. Specifically not pasteurised, this unique product retains the highly nutritious “mother”. Four Sigmatic is bringing mushroom drinks mainstream by incorporating them with ingredients like coffee and cacao – customers simply add the sachets to hot water or mix into smoothies. The Mushroom Market is expected to experience 8% growth between 2016 and 2020. Source: PR Newswire, 2016. The highest quality ingredients are used, to create the most potent product on market with each serve containing up to 1500mg of mushrooms. The certified organic mixes are a healthier alternative to coffee with half the caffeine but double the benefits. There are eight delicious varieties available. Read more about how mushrooms have made it mainstream here. CocoVelle is the world’s first all-natural, vegan, gluten-free and caffeine-free coconut latte and hot chocolate! Hand-crafted in Melbourne, it contains real powdered coconut milk, organic and unrefined muscovado, coconut blossom sugars and delicate spices. 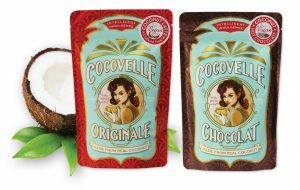 Rich in Medium Chain Triglycerides (MCTs) and with 50% less sugar then other mixes, CocoVelle’s beautiful branding is sure to jump of shelves! 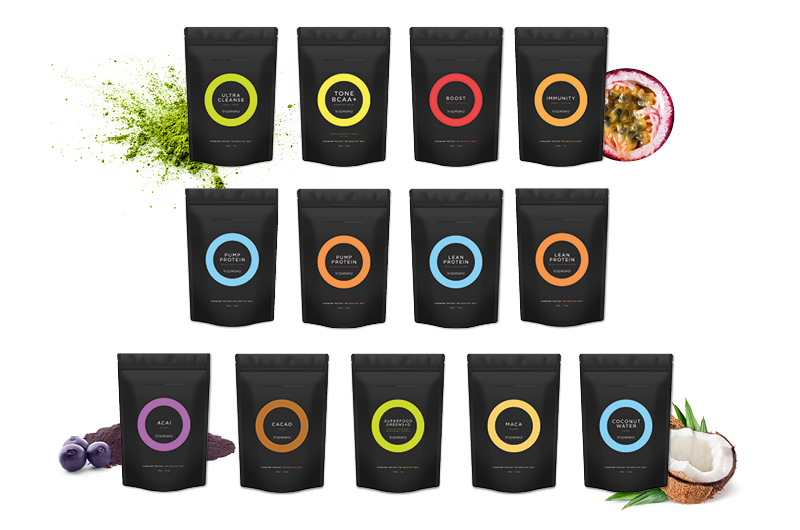 Extend your turmeric range with Taka Turmeric’s 100% organic tea sachets. The new products contain coconut plus carefully selected herbs and spices from around the world that enhance the health benefits of turmeric. The addition of coconut protects turmeric from harsh stomach acids and helps to increase absorption. 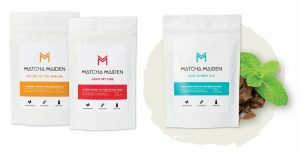 Two new drink blends and a healthy convenience mix have been added to the Matcha Maiden range – all of which are vegan, gluten free and on trend! Fly Me to the Immune combines peppermint, ginger, fennel and dandelion with pure Japanese matcha to cleanse and soothe tummies. Light My Fire is a fiery blend made with cayenne pepper, cinnamon, olive leaf and Siberian ginseng to give customers a big antioxidant boost. Slice to Meet You is going to be a huge hit with raw-treat lovers! Packed with antioxidants, each packet creates an incredibly nutritious and delicious Choc-Mint Matcha Protein Slice! 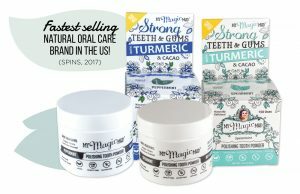 If you’d like to order any of the new products for spring 2017, you can easily add them to your online order here, or if you’re not yet a Unique account holder, get started here.